Eye Strengthening Exercises: Improve Your Eyesight Now Using Only Pencil! Fun with pencil eye strengthening exercises - another episode of the eye exercises series. All of us have a pencil or a pen somewhere around in the house. We use them for many things, which includes writing, drawing, performing pencil tricks, reading guide and many others. 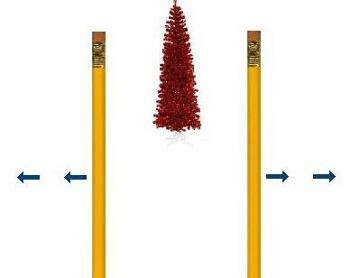 But what you may not know is that, pencil can be used to improve eyesight naturally! 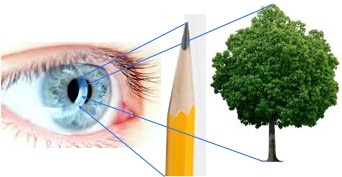 Pencil is a very helpful tool for strengthening your eyes. Most importantly is extremely portable. You can bring it around with you and "accio" it from your pocket anytime you need it. We both know that how eye exercises can help you improve eyesight naturally. With pencil, you can do eye exercises everywhere you go. From the windows of your room, to the passenger seat in a bus. Here’s some easy eye strengthening exercises to help you improve vision naturally. They are just as effective if you use a pen instead. Pencil push ups are popularly used by eye doctors to improve convergence insufficiency. Hold a pencil away from you at an arm’s length. Focus intently on the tip of the pencil and bring back the pencil slowly towards your eyes until it touches your nose. You should notice that your eyes to have turned in. Contrary to old myths, this act will not make you become permanently crossed eyed. So don’t worry about it. Slowly move the pencil away to the arm’s length again (like doing one armed push up). Look away for a few seconds and focus back on the tip again. 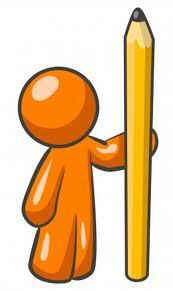 Try to avoid blinking when focusing on the pencil tip and perform pencil push ups up to five times before resting. Whew, that sure workout some sweat! Feel that sore muscle on your arms. Let's move on to next set. Another effective eye exercise to improve your eyesight. This eye strengthening exercise can improve your accommodation skill. The ability to shift your focus from nearby objects to objects that are farther away and vice versa. For optimal result, try to do this exercise at a location where you can find objects that are at least 20 feet (6 metres) away from you. Such as standing in front of a window. 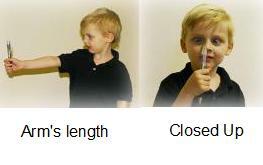 Hold a pencil 6 inches (15 cm) in front of your nose. Focus at the tip of the pencil for 3 seconds. Then shift the pencil down and now look for something else that is at least 20 feet away. Zero in on the newly acquired target for another 3 seconds and shift your focus back to the pencil. Repeat this back and forth between the two objects for 3 minutes. For both instance, you should try your best to get the clearest image. But try not to stay on one object for more than 10 seconds. Now lets work on our chest and eyes together. Our vision do not just consist of the central vision. The peripheral vision is just as important as it allows us to know what else is going on around us while we are zeroing in on an object. Bent your arms, tuck in to your chest and hold a pencil in each hand about a foot (30 cm) in front of your eyes. Look in between them and fix your gaze into the distance center or on an object right in front of you. Focus your gaze straight ahead and slowly move the pencils out of your field of vision. Move them slowly back to the front (like a chest press exercise), and repeat the sequence 10 times. Don’t turn your gaze onto the pencils under any situations but try to see them as clearly as possible. Observe their details while your gaze is focusing in front. Feel that strain in both your eyes and chest? Now we are working! And there's more. Let’s improve your peripheral vision further. Remember to fix your gaze right in front throughout the exercise. Like before, hold the pencils right in front of your eyes about 1 foot away. Move the right pencil down and the left pencil up until reaches the end of your field of vision and then move them back to the original position. Do this 5 times, then move the right pencil downward 45 degree to the right and the left pencil upward 45 degree to the left 5 times. Then repeat the sequence in an opposite fashion, right pencil upward and left pencil downward 5 times. Then right pencil upward 45 degree to the right and left pencil downward 45 degree to the left 5 times. In total you would have done 20 reps. Finish by making 2- to 3-foot diameter circles from the middle to the outsides. By now, you should feel both your peripheral vision and arm muscles stretched. Isn't it a great upper body workout? Do this pencil eye exercise set once everyday or whenever you have the time.